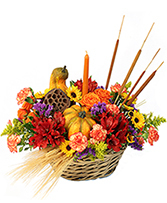 Pumpkin Gathering Autumn Arrangement in Bradenton, FL - TROPICAL INTERIORS FLORIST INC. 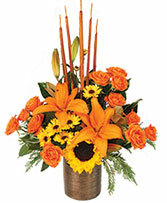 THIS ARRANGEMENT DOUBLES AS A CENTER PIECE FOR THE THANKSGIVING TABLE, OR A GET WELL WISH FOR A DOWN AND OUT FRIEND OR FAMILY MEMBER. 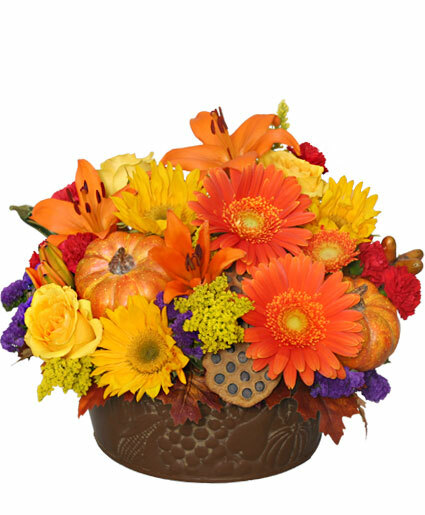 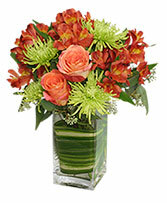 BEAUTIFUL COLORS OF FALL WILL BRING HAPPINESS TO THE RECIPIENT.